Though he was once known for rough-and-tumble British indies, Guy Ritchie has spent the better part of the last decade making his way through some major tentpoles. He took two trips to Baker Street with Robert Downey Jr. in Sherlock Holmes and will soon be traveling to Camelot for Knights Of The Roundtable, but first he’s paying a visit to The Man From U.N.C.L.E. 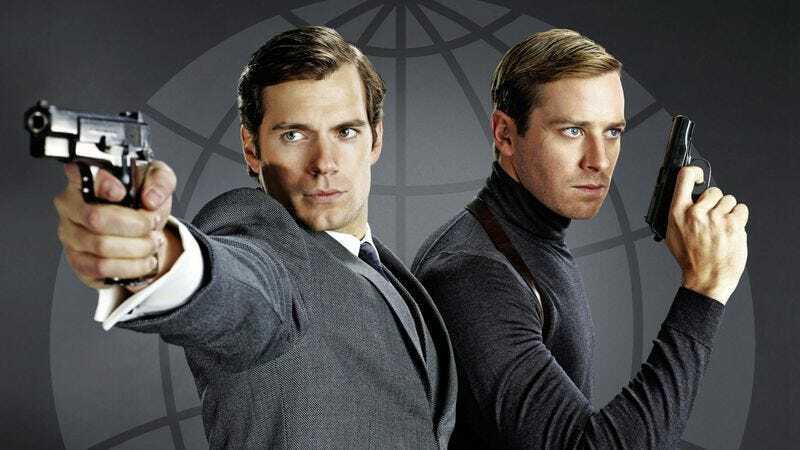 The new take on NBC’s popular ’60s spy series retains the Cold War-era setting and basic premise, but updates things with a pair of shiny new stars: Henry Cavill and Armie Hammer. The international men of mystery are also joined by Jared Harris, Hugh Grant, and Alicia Vikander, in one of her seven theatrical roles slated to be released this year. The Man From U.N.C.L.E. opens nationwide on August 14, but The A.V. Club and Warner Bros. Pictures have an opportunity for you to see it for free on August 10. For your chance to win a pair of passes to the advance screening, simply follow the link here and enter the code AVC810CHI. As always, seats will be first come, first served, so be sure to arrive early. An official plot synopsis and trailer for the film can be found below.